A History of Excellence Since its establishment in Johannesburg, South Africa, in 1960, the Spanjaard Group of Companies has grown into a globally respected manufacturer and distributor of special lubricants and allied chemical products for the industrial, automotive, mining, marine and household markets. Spanjaard Limited listed on the JSE Limited (previously Johannesburg Stock Exchange) in 1987. Through our own research and development facility we are able to keep our product formulations at the leading edge of the latest technology, to bring you products ideally suited to your specialised requirements and applications. With the assistance of our dedicated team of chemists and technicians, many companies have found solutions for their most difficult lubrication problems. Our distributor network spans 5 continents and more than 25 countries globally, and stands ready to help you at a moment’s notice no matter where in the world you operate. As you browse through this catalogue you are certain to find a solution that’s right for you. But if not, please do not hesitate to contact us for help. Complete technical data sheets, containing full application information, and health & safety data sheets, are available on request for each product. 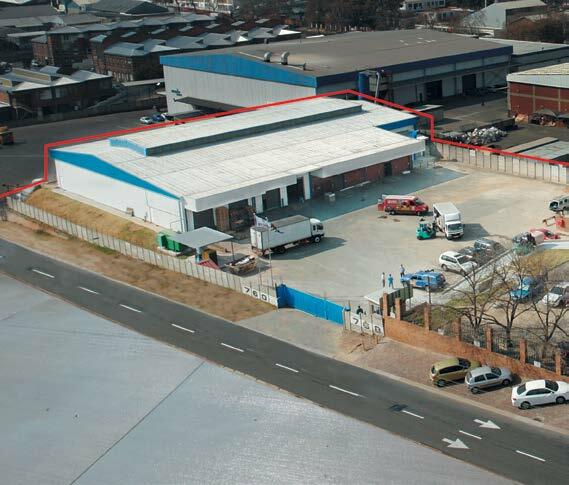 THE SPANJAARD GROUP Spanjaard Headquarters, Johannesburg Products are listed in alphabetical order and cover the full spectrum of our extensive range, namely: CONSUMER / AUTOMOTIVE Motor trade, spares and accessory outlets, D.I.Y. (Do It Yourself ) stores, garages, repair workshops and hardware stores. CAR CARE Motor trade, spares and accessory outlets, D.I.Y. (Do It Yourself ) stores, garages, repair workshops and hardware stores. ELECTRICAL & ELECTRONICS Cleaners and lubricants for industry, the office and home. INDUSTRIAL Process and production lubrication, maintenance. MARINE Covering the entire spectrum from navy / merchant navy to leisure craft. MINING Mining lubricants and allied chemicals, cutting operating costs, reducing downtime and improving reliability.